Package Deal: SFO to Hong Kong in Premium Economy + Hotel Package ~$1600 USD Roundtrip. 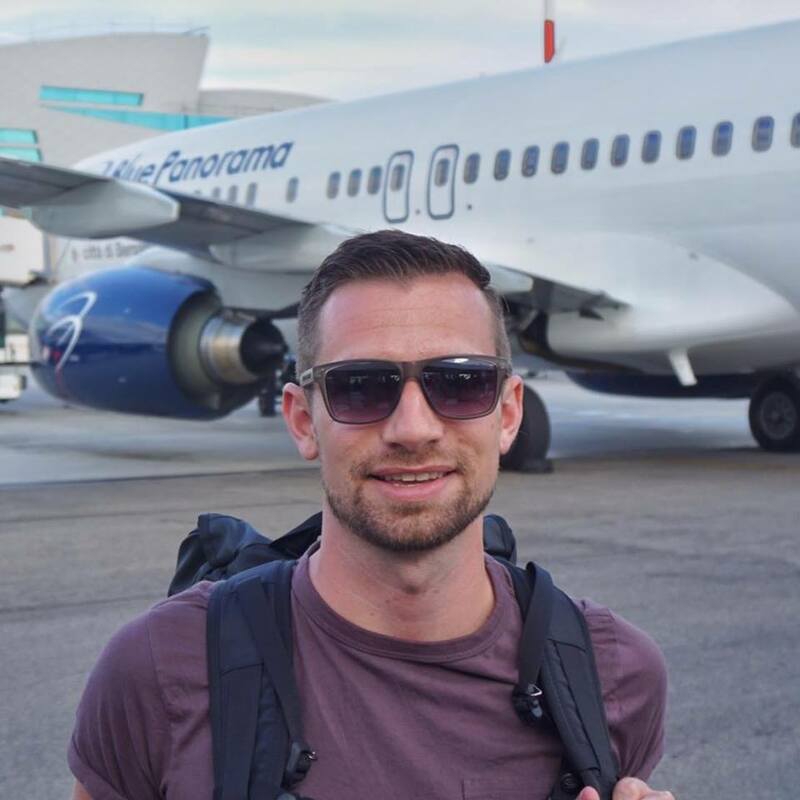 Plus Lots of Bonus Asia Miles! 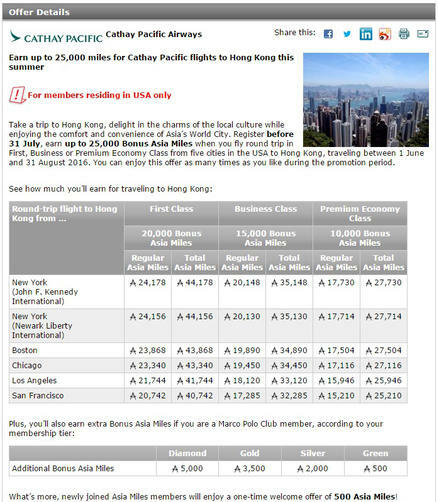 Cathay Pacific’s Asia Miles program is running a few concurrent promotions to earn bonus miles. You can stack these bonuses when you fly in Premium Economy, Business Class, or First Class from the United States to Hong Kong and book a hotel package. USA to HongKong Roundtrip in Prem Economy/Business/First: 10,000-20,000 Bonus MilesFlight + Hotel Package Bonus: 5,000+ Bonus MilesNew Asia Miles Member Bonus: 500 Bonus MilesBelow is a full table of the Roundtrip premium cabin bonuses. You must register for the promotion here. I did some sample searches from San Francisco for flight + hotel package promotion. 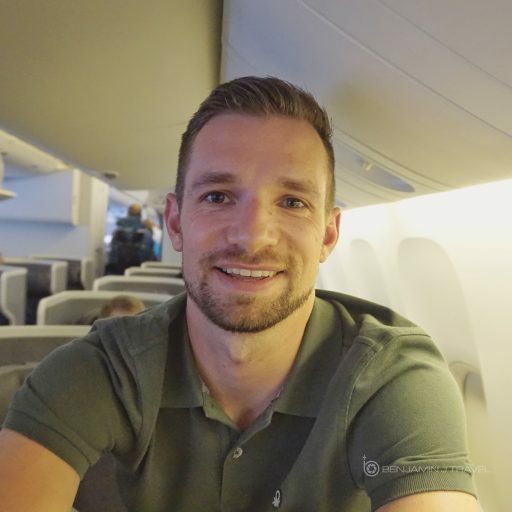 In Premium Economy, I found several dates, including over Memorial Day weekend, for as low as $1600 USD Roundtrip to Hong Kong including hotel. This would earn roughly 15,500 bonus Asia Miles if you were a new member signing up in addition to the standard Asia Miles earned. You must register for the premium class bonus miles link here. For the premium cabin bonus to Hong Kong, registration must be completed by Jul 31, 2016 and travel must be completed by Aug 31, 2016. 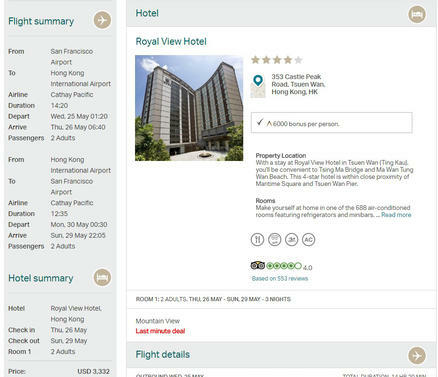 The air plus hotel packages can be booked from this Cathay Pacific landing page. Packages must be booked by Jul 31, 2016.